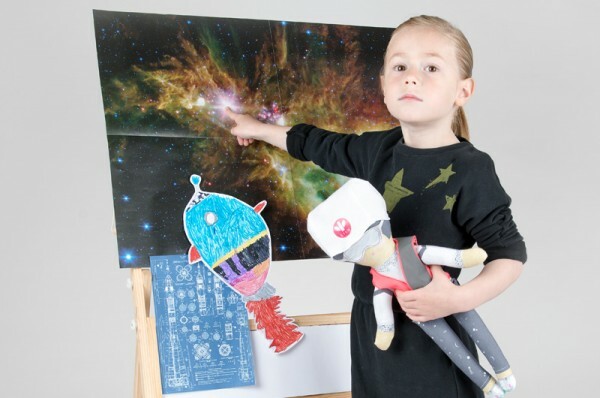 Groundbreaking STEM Dolls from Mamma Couture inspire girls to reach for the stars. If your little girl is more interested in space than sparkles and robots than rainbows the read on. These beautifully designed dolls by Mamma Couture are here to smash gender stereotyping and encourage girls to learn more about STEM – Science, Technology, Engineering and Maths. The results speak for themselves. Eva created four dynamic characters with professional STEM occupations to encourage girls to embrace their intellectual strengths and aim for more than being a princess. Selene, Toriells, Esha and Melissa are here to inspire kids to enjoy science and explore the world. Selene is a Ph.D. student in Chemistry. Her work is helping to develop new solutions to make bio-fuels and solve the world’s fuel crisis. Torielle is a Doctor in Computer Science. She founded her own start-up and now travels the world to share her knowledge. Esha has a Masters in Aerospace Engineering. She designs and builds components for spaceships that will send telescopes to outer space. Melissa is a Professor in Mathematics. She uses statistics to find patterns in abnormalities within cancer cells. Life has so many opportunities and with friends like theses, little girls are assured they can aim high and go far. The dolls are designed and manufactured in the UK. The fabric used is 100 per cent organic GOTS Cotton and the dolls are machine washable with a gentle program at a cold temperature. Each doll is sold with accessories that match her profession. The dolls are available for pre-order from Mamma Couture now for £55 with delivery from October 2016.